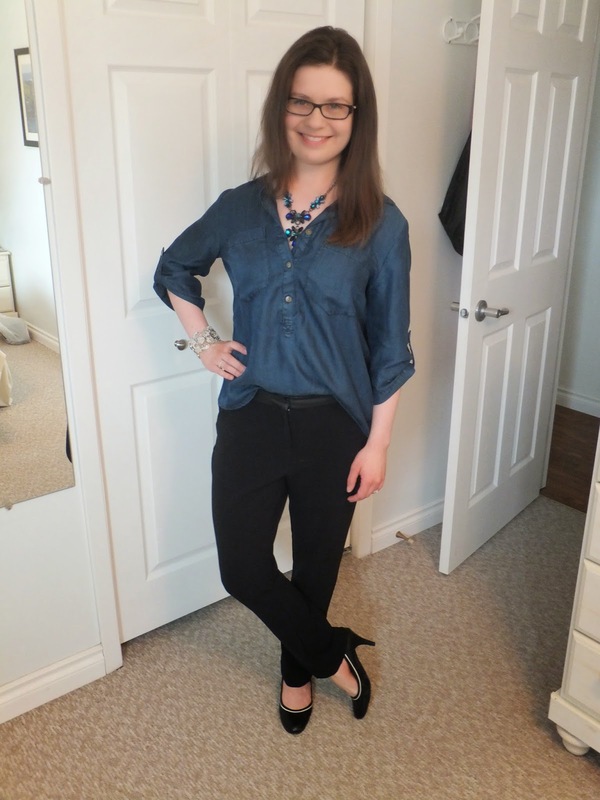 This Chambray top is fast becoming one of my favourite items in my wardrobe. I know that I am late to the party on this one, but I am totally shocked at how much I like this look! It is super comfortable and looks fantastic, too. I dressed up my top with black dress pants and black pumps. It is effortless and yet, chic. I am a Chambray convert! I love chambray tops, too! I also love how you half-tucked it. It looks great!